Fall is in the air and I am excited for the Making Strides Against Breast Cancer walk this weekend. In year's past, I took a bigger role with the organization as an MC and a chair. 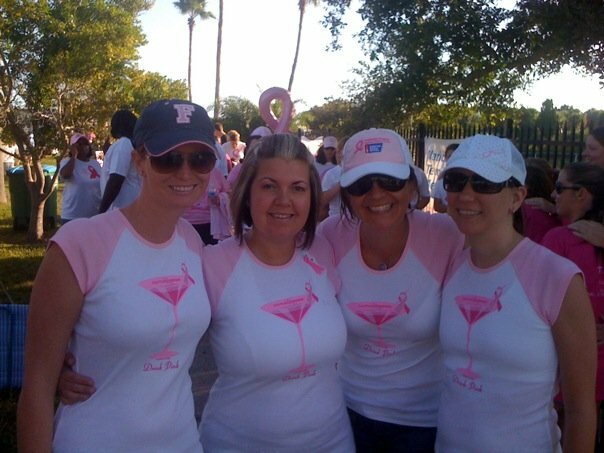 I also started Project Pink in Daytona, where we would sell pink flamingos for $10, invite them to be dressed up and returned to a ball game with the Daytona Cubs who would wear Pink Jerseys. It was a lot of fun and raised a ton of money!You can read about it here. In celebration of Breast Cancer Awareness month, I had an opportunity to talk to Marimah Karmo. 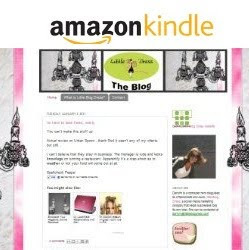 Maimah Karmo is a breast-cancer survivor and the founder of the Tigerlily Foundation, an organization that educates, empowers and advocates for young women affected by breast cancer. The idea was born after her second chemotherapy treatment, and when she appeared on The Oprah Winfrey Show to tell her story, Oprah's advice was emphatic: Maimah must write a book. So Maimah did. 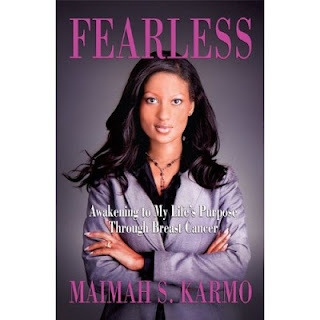 Fearless: Awakening to My Life's Purpose Through Breast Cancer (Brown Books, October 2012) is about her transformation, and how she learned that a challenge can be a gift. 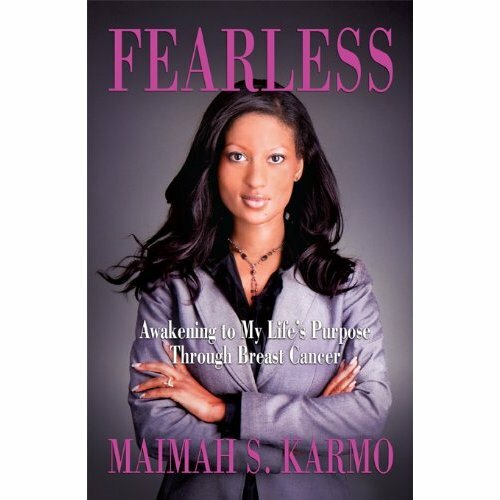 Fearless is a stunning account of Maimah's upbringing in Liberia—which was uprooted when she was 15 years old, and her family was forced to flee to the U.S.—to living the American Dream, watching it all fall apart with a breast cancer diagnosis, and ultimately, bouncing back. experience; through it all, I re-discovered my strength, myself, and my purpose. become a victim of the thing or a victor of it. had fallen so far so fast. others in some way for being too open with my heart. not about wanting to take for oneself and garnering things, but about the moments we can commune with, affect and empower others. chemotherapy, I would ask why this was happening to me; I was so afraid of the future. 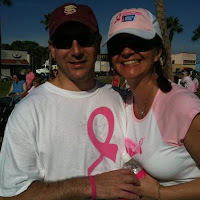 with Stage 4 breast cancer. believe in something deeply, even if you can’t clearly see the way ahead. wonderful thing. I hope to give this gift to others through my work. journey. What have you learned from them? reverberate on a larger scale. and making them feel special. She was amazing. I love her even more after meeting her. She is 100% the real deal and is doing so much to help so many. reality of life is that we all have to go sometime – from breast cancer or something else. at the end of the day to make a difference, love a lot and life like there is no tomorrow. compassion and gave me more wonderful friends than I could have imagined.